Shaheen Ainpour (right) looks over notes while his mentor Jolie Myers (left) listens to his work, during the NextGen Radio project that took place in Wallis Annenberg Hall's Digital Lounge during Spring Break of 2017. Updated Apr. 3, 2017 10:10 a.m. 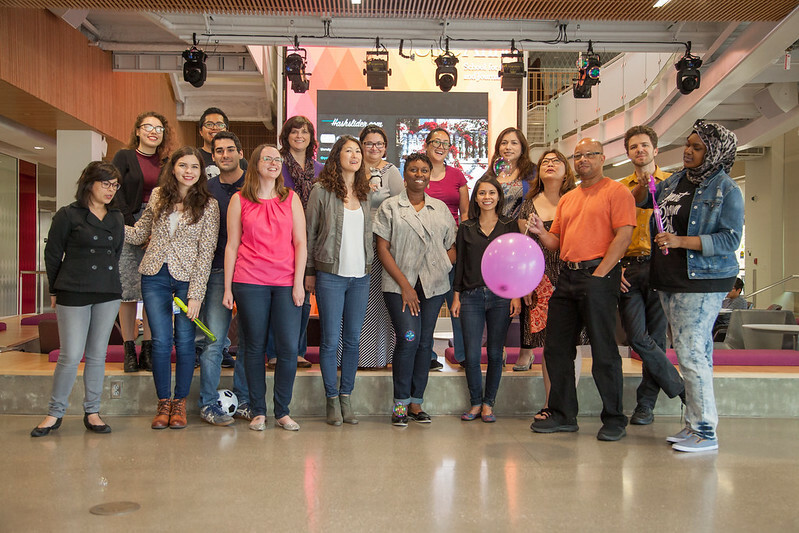 Hosted at USC Annenberg, the second National Public Radio (NPR) Next Generation Radio project was organized by the Institute for Diversity and Empowerment at Annenberg (IDEA). The first project also took place during spring break last year. This year, the theme was “First Days in America” and story ideas ranged from the Cuban immigrant who founded the popular Cuban bakery, Porto’s, to Afghan refugees re-settled in Westminster, Calif. The six students, from USC, Cal State Long Beach, Cal State Northridge and UCLA, produced social media throughout the week, worked on a final radio piece, wrote a story for the web and received edits from managing editor of the project, Traci Tong. Stefanie De Leon Tzic (Master of Specialized Journalism ‘17) centered her story on 90-year-old Hilda Fogelson, who escaped Nazi Germany through the Kindertransport, a rescue effort that saved Jewish kids from Nazis. De Leon Tzic has previous radio experience working on the Tuesday daily newscast in the Julie Chen/Leslie Moonves and CBS Media Center. “What I really wanted to accomplish was learning more about how to do field interviews,” she said. She and her mentor, Susan Valot, a freelance public radio reporter and advisor for USC Annenberg’s radio program, went to Studio City to interview Fogelson. Her mentor’s feedback was helpful. “It has been a really great experience to work with people in the business. I know what I know in radio but it’s extremely helpful when someone comes in and has other things to teach you or little tricks to get better audio,” De Leon Tzic said. For Valot, it was exciting to see De Leon Tzic take part in the reporting process. Intisar Seraaj (Master of Journalism ‘17) interviewed a Haitian immigrant, Marmarah Similien, who came to the country at age 5. Seraaj has previous radio experience but said she usually struggles with getting natural sound. There are 11 Next Generation Radio radio projects this year, according to Doug Mitchell, project founder and director. Next Generation Radio was launched to reach out to students of color interested in public media. It started out as a side project for Mitchell, who was an NPR producer for various shows, including “Morning Edition,” and launched radio training projects at National Association of Black Journalists. 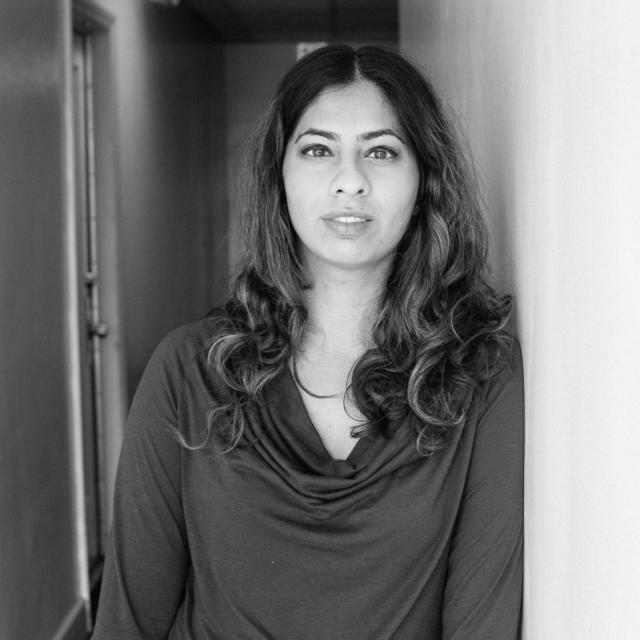 “There are lots of younger people who are interested in learning: ‘How did they do that? How did they produce it that way? How do I sound like NPR?’ That’s what we do,” Mitchell said. Over the course of the week and afterward, student participants are supported in developing their creative toolset as journalists, cultural workers and storytellers, according to Taj Frazier, USC Annenberg Associate Professor of Communication and director of IDEA. “My hope is that their skills are advanced by being able to shadow high-achieving and public service-oriented professionals who are passionate about increasing the public's awareness through different forms of storytelling, media, and critical insight,” Frazier said. During the week, Amara Aguilar, Associate Professor of Professional Practice in digital journalism, looked over the web posts and helped get the stories ready for the website, along with Jenn de la Fuente and Carla Javier, who were also part of the web and social media team. Traci Tong, who was the managing editor of the project, came up with the theme for this year’s project. Tong, who is one of the original and founding producers, is producer of The World — the co-production of the BBC World Service, PRI (Public Radio International) and WGBH. She called the experience “invaluable” for the students.